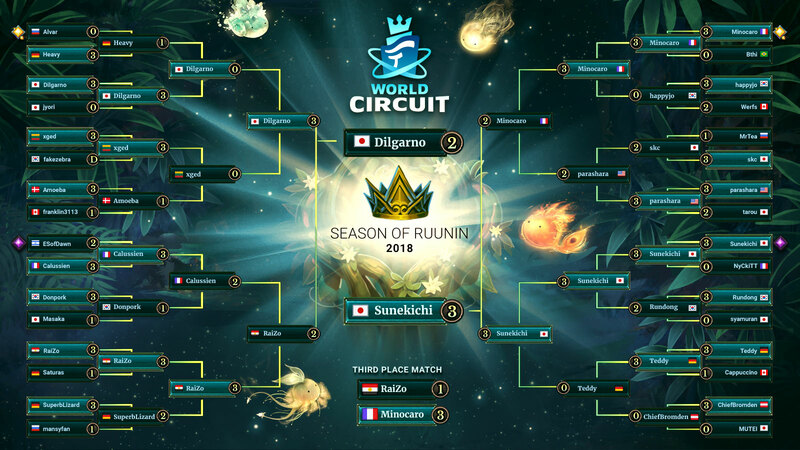 The $2500 Ruunin Seasonal Cup is TOMORROW! Tune in for prizes, card reveals, and fun. Fall of Everlife is NEXT WEEK! Also, we welcome Vincent to the team. The top 32 players from the Season of Ruunin are ready to battle for your viewing pleasure. It all happens tomorrow, LIVE on stream with commentary by zaldinfox, luuu90, Atmaz, and maybe more! 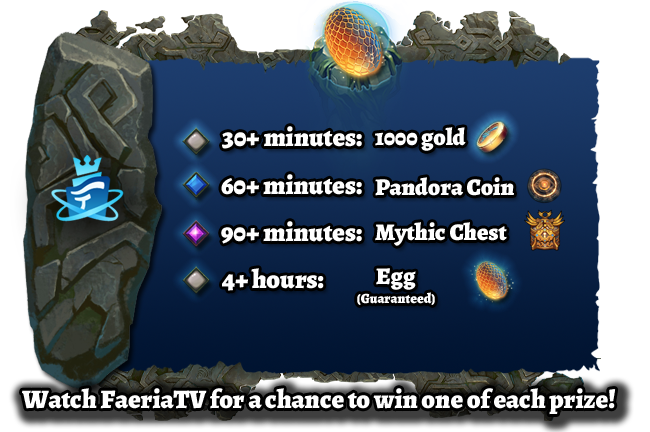 Follow FaeriaTV on Twitch to be notified when we go live. We'll be revealing THREE new cards from Fall of Everlife during the stream! You want another Legendary card reveal from Fall of Everlife... right now? Vincent is the newest addition to our art team! 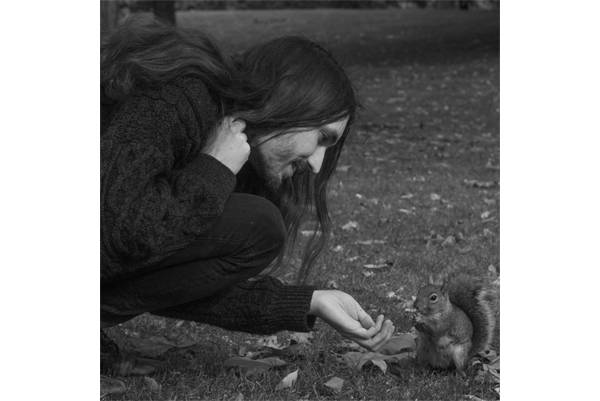 Other than his impressive squirrel training abilities, I asked to know a little bit more about him. I guess it’s a generic answer, but I’ve been drawing for as long as I can remember. It’s something I always wanted to do and I will probably never be able to stop doing. That's okay! It was a generic question. Here's another one: Who or what are some of the biggest influences on your style? I try looking at a lot of different art and media, but one of my favourite artists is John Singer Sargent. Every brush stroke he puts down is super well thought out which makes his paintings look so effortless, yet full of subtleties. Other than that I love the world creation of Hayao Miyazaki, Akira Toriyama, and so many more! Can you tell us more about your professional history in art? As a teenager I started with designing album covers, concert posters, and logos for local metal bands, but I was always interested in getting a job in the game industry. I got my first job in the game industry right after graduating. It was for a board game company called Eagle-Gryphon Games followed by a few small card/board games. At some point I started getting interested in doing more personal work and started looking to get into art galleries without any success. I did get some commissions out of it, but it still wasn’t exactly the career I was looking for. At this point I started looking to get into tattooing. This is how I got to meet my girlfriend who is a full time tattoo artist. Right now I am her apprentice and tattooing whenever I am not working for Abrakam. Besides all this I am also teaching at an art academy! What do you like most about working in Abrakam’s art department? Doing the art of course! I also really appreciate how everyone at Abrakam has a voice that is listened to. 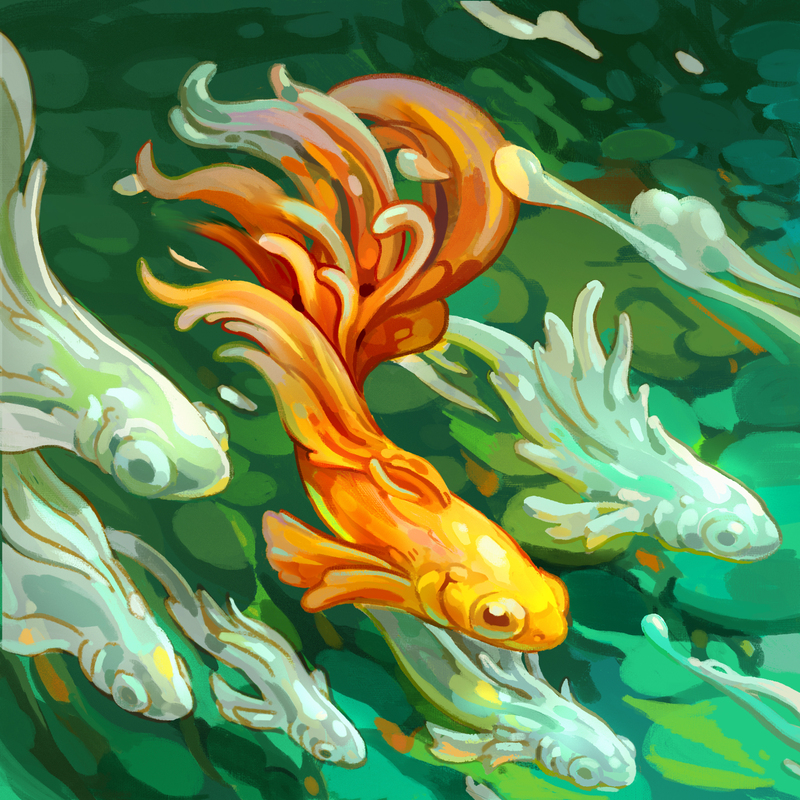 Can you share any art you've worked on for Faeria so far? Sure ! 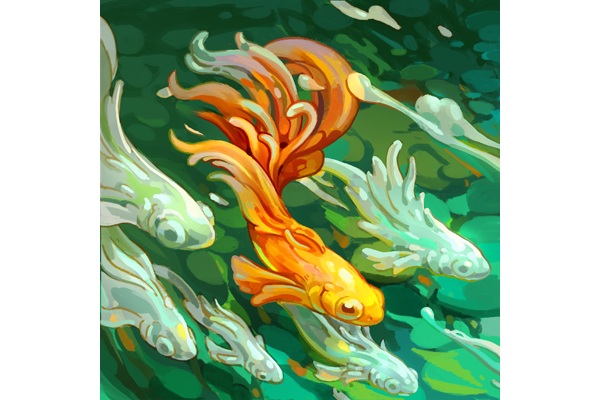 Here is the first card art I created from start to finish. You sound generally pretty busy, but do you have any other hobbies? Right now the only time I have left is spent in renovating my house. But aside from that: Drawing, gaming and watching movies/tv shows are some of the things I probably spend most of my time on. Right now I am playing Fire Emblem: The Sacred Stones. I mostly enjoy strategy and role-playing games. Finally, an important question: What’s your favorite soft drink? I am one of those boring guys who only drinks water, haha! That's not boring Vincent, that's healthy. We're happy to have him aboard, and look forward to the Krog tattoo he'll eventually give everyone on the team starting with me. You can talk to Vincent in our official Discord under the name Anemos. Eggs will be hatching all over the place - keep an eye on yours! In 5 days, we release the Fall of Everlife expansion and a batch of new features for the game. Thank you for your support and patience that helped us get to this point. With your help in recent Steam reviews throughout the week, we climbed all the way from 79% to 86% positive recent reviews! You really made a difference here, and we can't thank you enough.